If you were to close your eyes and think of a ghost town, what would come to mind? 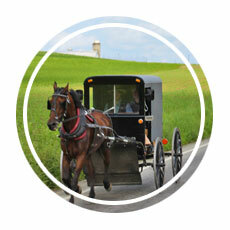 Are you thinking about old, boarded-up buildings and tumbleweeds rolling down dusty trails? Ghost towns always evoke images of the USA’s wild west for me, communities where the people have moved on and the reason for a town’s physical presence no longer exists. Centuries ago, when the United States of America expanded westward, many vibrant towns retreated as populations moved on in search of farmland and gold. Not every ghost town is created by people who depart because they decide it’s time to do so, though; some towns are abandoned out of necessity and despite residents’ wishes. 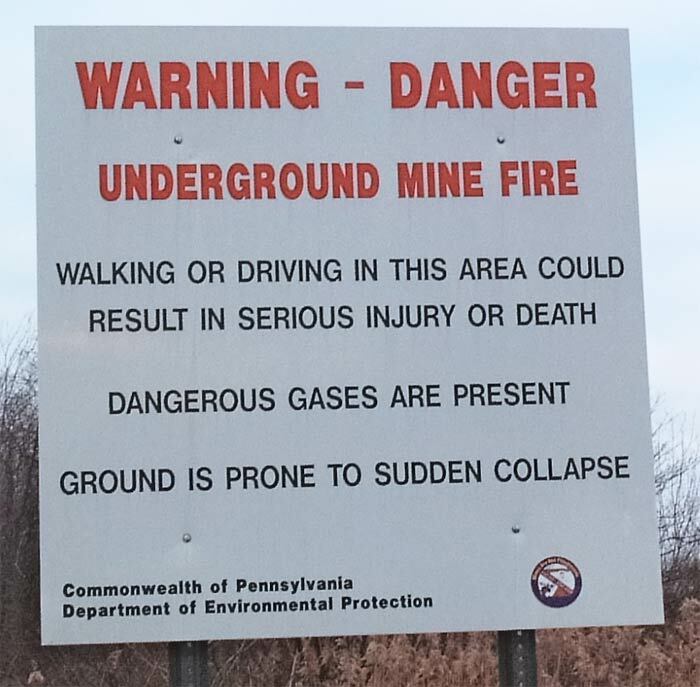 That’s why Centralia beckoned us as we drove north through Pennsylvania on a cold November day. 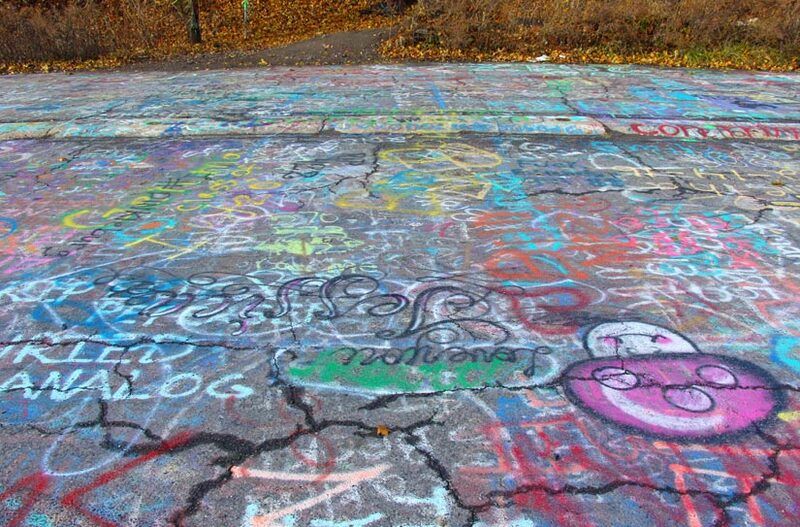 Centralia is a ghost town of a different kind. 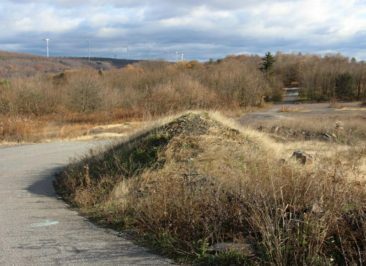 In the 1960s, about 2,000 people lived in Centralia, Pennsylvania, a typical northeastern town largely supported by the mining industry. By 2010, the population had shrunk to just 10 people. 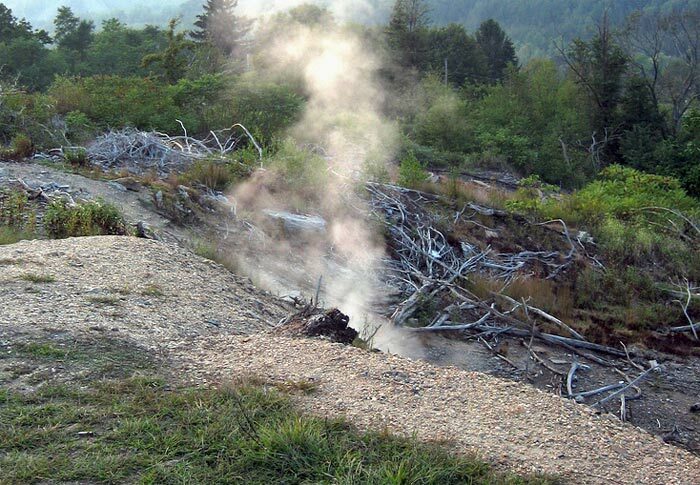 To understand why so many people who once called Centralia home would leave—and why hundreds of curious tourists seek it out each year—is best understood through the story of an uncontrollable underground fire that drove people from their houses and still burns to this day. When Centralia was incorporated as a town in the mid-1860s, well over 2,000 people lived and worked there because of the booming mining industry that provided job and economic security for hundreds of families. These good times were short-lived; the mining industry peaked and began its decline after the turn of the century, and like many small towns Centralia reeled after the stock market crash of 1929. Still, mining provided enough jobs to keep many people employed, and it seemed the sleepy town would remain sustainable as long as the mines were open. 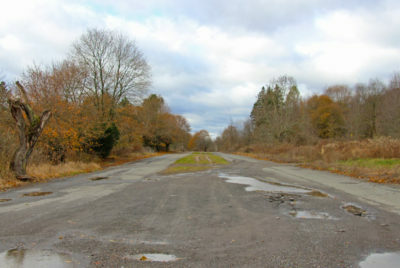 Centralia’s course was permanently and irreversibly changed in 1962, when an above ground fire slipped beneath the town’s surface. The fire’s origins are debated, but the most commonly reported explanation is that a small group of volunteer firefighters ignited what should have been a controlled burn at the town’s landfill. They failed to fully extinguish the fire, and the fire burned unnoticed into openings that led to the underground coal mines. Once the fire found its way to the coal it was all but impossible to extinguish. For years the residents fought the fire, but their temporary successes always gave way to another billow of smoke that would erupt from underground, further proof the fire still raged beneath their feet. It took almost two decades for the town to truly understand the implications of life on top of a raging fire. Widespread concern developed when a 12-year old fell into a sinkhole that opened in his backyard; although he was pulled to safety, the steam that emerged from the hole had toxic amounts of carbon monoxide. At this time the ground temperature soared to 180 degrees Fahrenheit (82 degrees Celsius) in some locations. By 1983 the government decided to allocate $42 million USD to relocate residents who were no longer safe living in their hometown. Most people gladly accepted the funds and moved away, but a small yet vocal group of citizens refused to hear the concerns for their safety and determined they would remain in Centralia. Over the course of two decades the government’s force battled against the people’s grit. Slowly, more and more people were evicted from their homes, and several lawsuits sought to remove everyone from Centralia. By October 2013, with just 10 people left in the town, the remaining residents settled their lawsuit and won compensation as well as the right to live in their homes for the rest of their lives. While no one can move into Centralia, only death can reduce the population in the future. Centralia’s history combines elements of sad truth, haunting mistakes, and devastating decisions, so it’s no surprise that the town has found its way into popular culture. The 2006 horror movie Silent Hill, which is an adaption of a video game series by the same name, is loosely based on Centralia and the screenwriter’s fascination with the town. This video from a local news broadcast shares some additional information, including interviews with former residents. Why Did We Visit Centralia? To be honest, Centralia is not a tourist attraction, and it shouldn’t be treated as such. It is unstable and potentially dangerous; after all, the fire still burns underground, and the earth can open at any time. Air quality is questionable, and you won’t find restaurants or entertainment options. At best it is a peek into what a modern-day ghost town looks like, and responsible travelers can certainly discover its fascinating history firsthand. 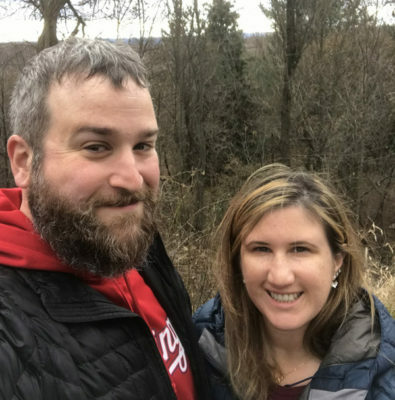 We decided to visit Centralia simply because the story captivated us; during our short stay we found that we weren’t alone in our quest to discover it when we spotted half a dozen other cars slowly cruising along deserted streets, searching for signs of life above ground or fire below it. We stopped for about 90 minutes during a drive from Washington, DC to Boston, Massachusetts. Centralia is not far off I-81 in Pennsylvania; we took exit 116 toward Minersville and followed the backroads recommended by both the Waze and Google Maps apps until we arrived in what appeared to be the middle of nowhere. Centralia is about 15 minutes away from the highway, but it looks to be every bit of the ghost town it has become. 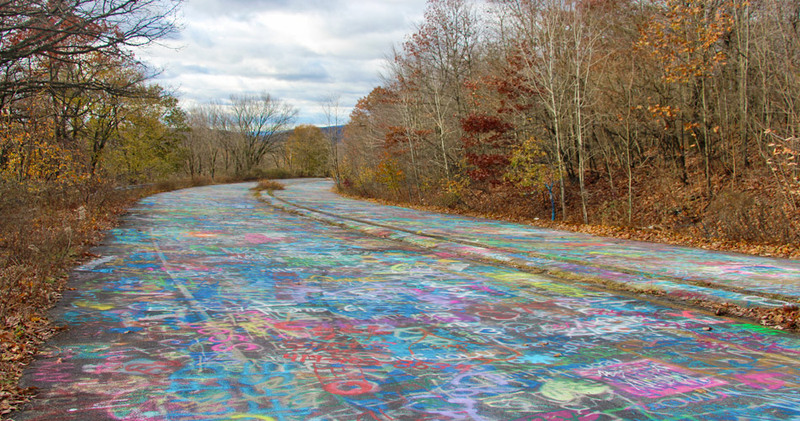 Our first stop was the graffiti highway, a long-deserted stretch of Route 61 that is almost completely covered in spray paint artwork. 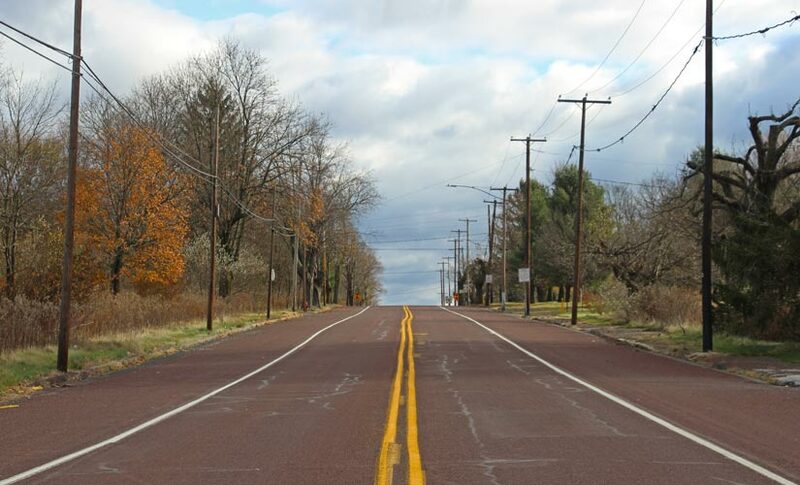 Before the fire, and even into its early years, Route 61 was a typical road running through a typical American city. Over time, transportation officials became increasingly concerned that the fire could cause a sinkhole to open on the road, and traffic was diverted so a one-mile section of the highway could be closed. Sure enough, a look down the road brings cracks and occasionally even steam into view, an ever-present reminder of just how dangerous Centralia’s fire still is. What you’ll notice even before those characteristics is the graffiti. 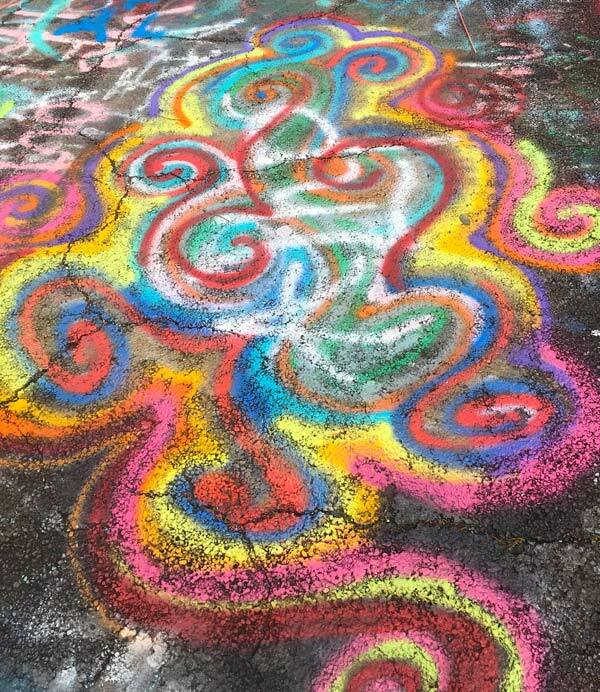 Ranging from messages to artwork, it’s a colorful distraction and a lovely walk if you have the time. We explored just a quarter of it (it was a chilly day, and we had left our guinea pig alone in the car and needed to get back to him before it got too cold for his liking), but you really don’t have to go far to appreciate it. 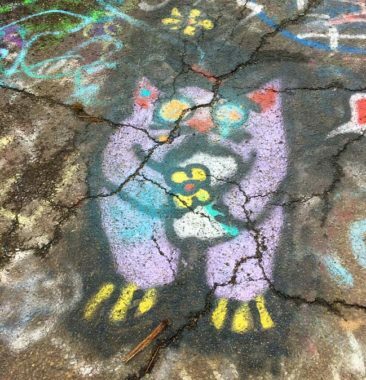 There is no designated parking area for the graffiti highway; after all, it’s not a true tourist attraction. We saw a few cars parked nearby at a cemetery, and we parked along the side of the road. You’ll need to walk over a large dirt pile (intentionally deposited there to keep people from driving down the road), so wear sturdy shoes if that’s your intended entrance point. If you’re hoping to see a sign of life in Centralia, Pennsylvania, your best bet will be the only church still holding regular services, Assumption of the Blessed Virgin Mary Ukrainian Catholic Church. Small and stark white, the church sits like a beacon of hope for the people who come to worship on Sundays and holy days. 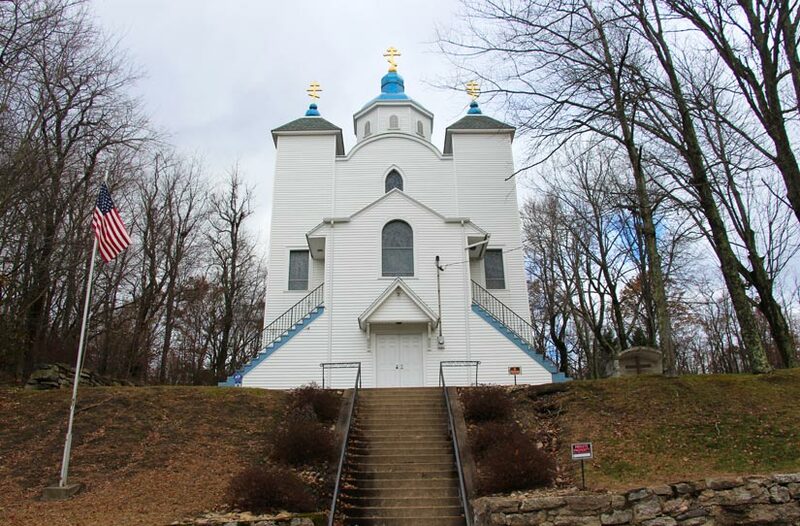 Signs around the building warn against trespassing, so don’t expect a glimpse of the church’s interior unless you are attending a service, but it’s worth a drive up the hill to see it. It’s also one of the safer spots in town; built on solid rock, the church has not been directly impacted by the fire. You can get a great view of the church from the hills over by the cemetery on the other side of town. What’s perhaps the spookiest—and the most fascinating—characteristic of Centralia, Pennsylvania is how so much of it has been reclaimed by nature. 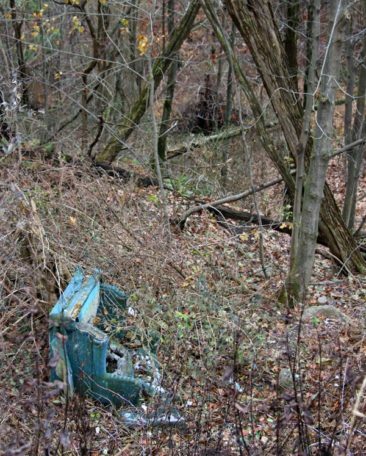 While taking pictures of the Assumption of the Blessed Virgin Mary Ukrainian Catholic Church, we looked behind us into the woods and saw several pieces of abandoned furniture poking out of the dead leaves, trees growing from where the upholstery had rotted away. Driving up and down streets we saw a mix of house foundations that were overrun with new growth as well as spaces where houses once most certainly stood, now completely erased by nature’s footprint. We sometimes lament how humans thoughtlessly pave over forests to build homes and shopping centers, and it’s strange to see the reverse of that, with nature paving over manmade structures. 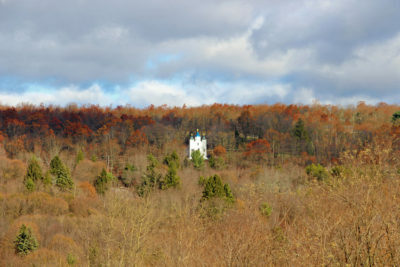 There are still buildings dotting the landscape, although few are in regular use. If you pay close enough attention, you’ll see the homes that are still occupied by the residents who fought to stay in Centralia. We didn’t see the locals, but we saw trucks parked outside of houses with electricity powering interior lights, so it wasn’t hard to know just where life still goes on in a town that was shuttered long ago. 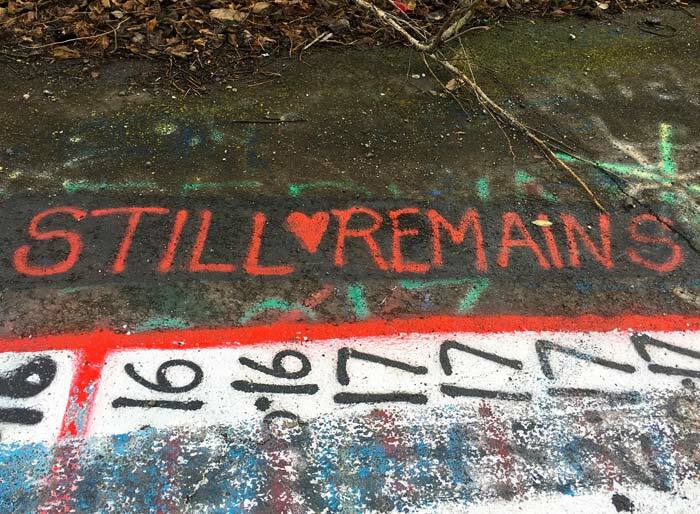 If you are interested in offbeat history, Centralia is a great place to visit. That said, it’s really a destination for responsible travelers who will respect the town, its remaining residents, and the uncertainty and inherent danger that comes with visiting a place deemed unsuitable for human life. 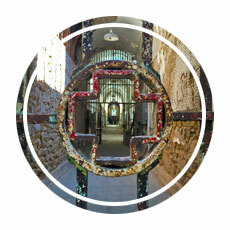 If the lost city of Centralia beckons you as it did us, here are a few tips to consider. Stay safe and keep your distance if you see steam coming up from underground. The fire is, without question, still actively burning, and while you may think it’s unlikely you can get hurt during your visit you should be aware that cracks can emerge at any time. Prioritize your safety and don’t approach billowing steam or large cracks in the ground. If you do see people working in or around their homes, remember they are not a tourist attraction. 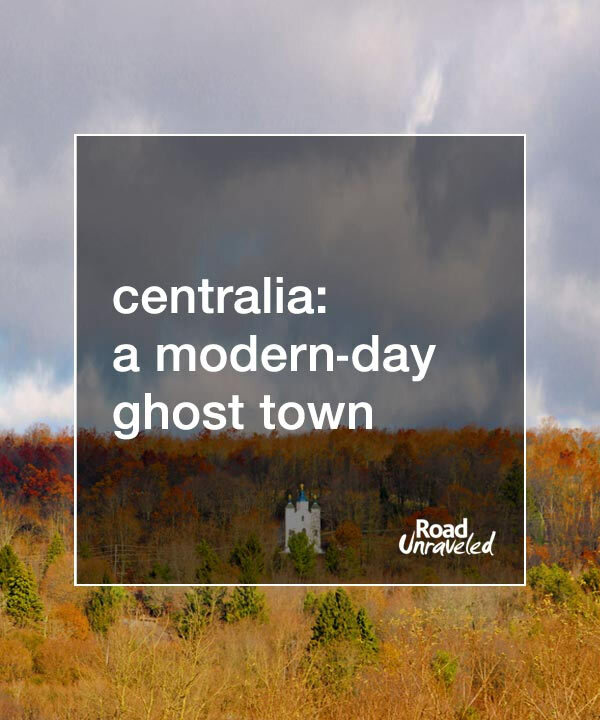 Centralia’s history and subsequent demise is their own personal history, and while you may find yourself in a situation where your paths cross and you can ask a question or two, afford the people you encounter their privacy. You won’t find museums, a visitor’s center, or any other tourist conveniences in Centralia, so if you visit remember you likely won’t need more than an hour or two. Centralia is a great stop if you are driving through Pennsylvania, but you may be disappointed if you plan a whole weekend to visit and drive out of your way to do so. 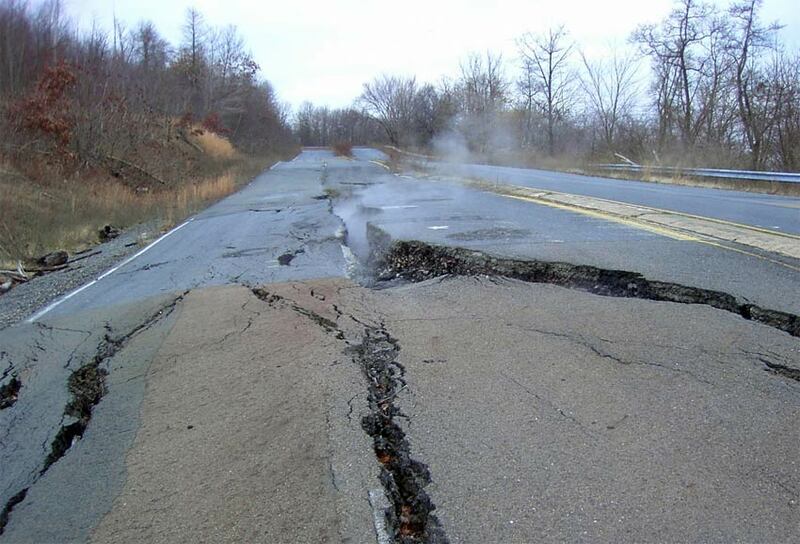 Centralia is about two hours northwest of Philadelphia, 90 minutes southwest of Scranton, Pennsylvania, about three hours west of New York City, and a little less than one hour northeast of Harrisburg, Pennsylvania. 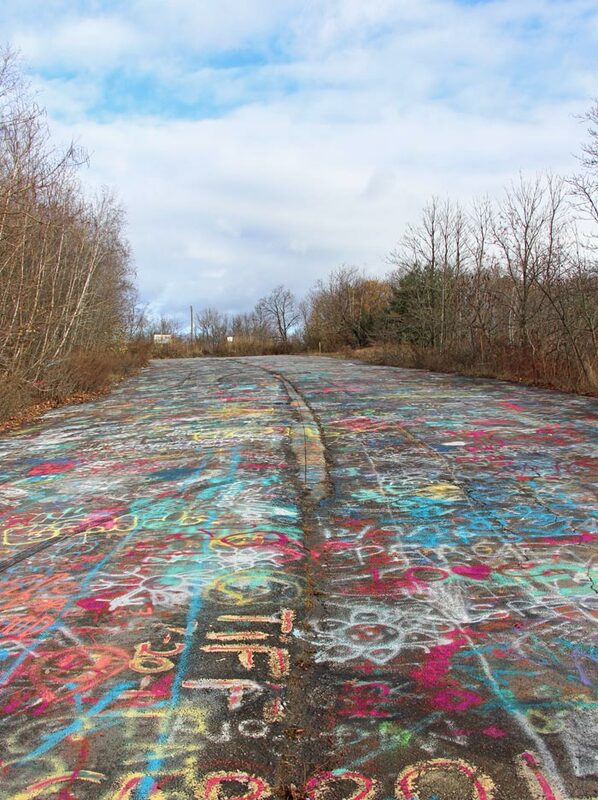 If you’re looking for an off-the-beaten path trip from any of those cities, Centralia could be an interesting option. Peter and Paul Cemetery is just steps away from the graffiti highway, and there are a few places along road and the cemetery’s driveway where you can safely park your car for a little while. We parked briefly along Locust Avenue, just in front of the dirt pile that separates the road from the graffiti highway, because it was a quiet Saturday when we visited, and traffic was minimal. 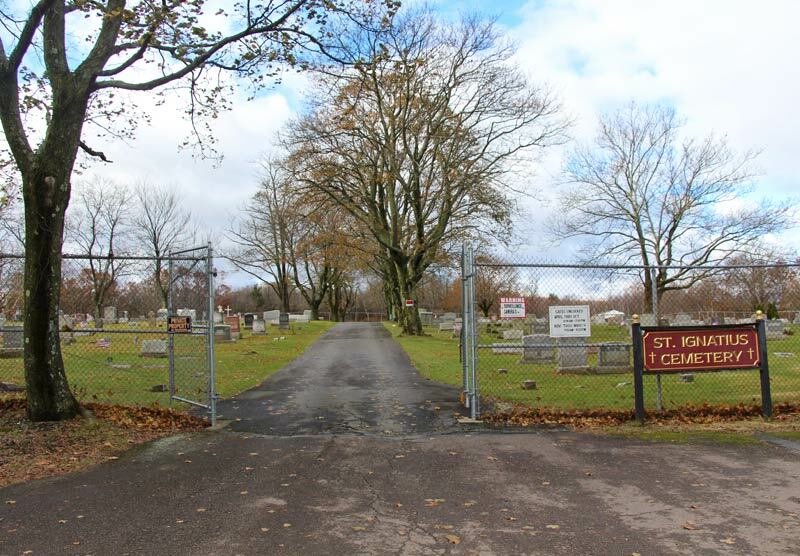 Parking across the street toward Odd Fellows Cemetery is also an option. 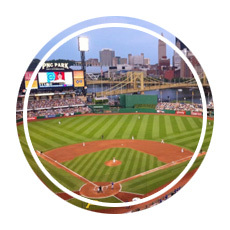 ► Hotels and Food in Centralia? It’s an abandonded town, so you won’t find restaurants or hotels in Centralia, but many neighboring towns have those amenities. Frackville and Pottsville are both close by and have major hotel and restaurant chains. 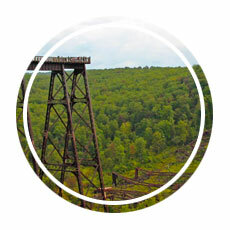 ► How much time to explore Centralia? Plan on 1-2 hours to explore Centralia. A drive through what remains of the town, a walk along a portion of the graffiti highway, and a visit to the church won’t take any longer than a couple of hours if you go at a relaxed pace. We were really glad we prioritized a visit to Centralia, Pennsylvania to see what has become a very peaceful, beautiful modern-day ghost town. Standing on the deserted road completely covered in bright artwork amidst a backdrop of dormant trees under the cold November sun felt just as eerie as it sounds. When we remembered that directly underneath us a powerful fire burned bright, threatening to break free into the world above at any moment, we took a second to appreciate Centralia and its fascinating existence before departing for a more certain safety. Who knows when—or if—Centralia’s fire will threaten the town again, but we can certainly relate to how it can capture your imagination! Ready to visit Pennsylvania? Here are a few more places to consider as you plan your itinerary.